Habitat and ecology: Rebutia fusca grows on rock outcrops in grassy slopes. 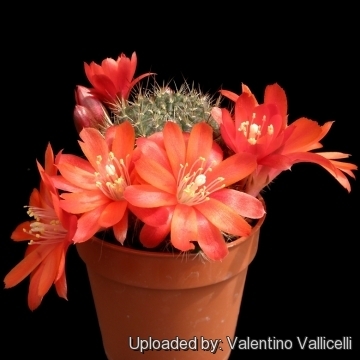 Description: Rebutia fusca is a very distinctive species with an overall brown aspect, and with very short spines lying close to the stem that barely reach 2-3 mm long and give the impression that the plant could be grasped with impunity. 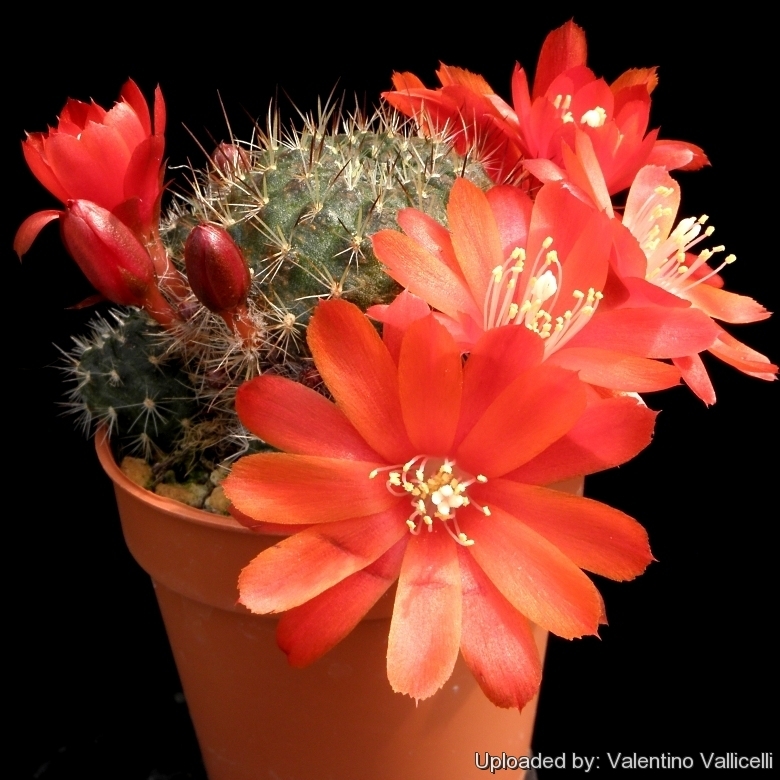 It is the “Bolivian form” of Rebutia spegazziniana, but it has a very different habit from that species, growing tallish stems and solitary or clustering randomly. 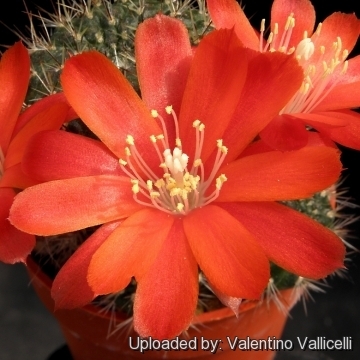 This slow growing cactus is highly priced for its vibrant orange red blooms. Stem: Solitary, slowly and sparsely clustering in cultivation, 2-4 cm wide, and up to 8 cm tall or more. Radial spines: 8-14, pectinate, 1.5-3 mm long, lying flat to to the body, red, sometimes yellow, with red at the base. Central spines: 1 or 2, thicker, red to nearly black, 2-3 mm long. Flowers: Orange-red to scarlet, 2-3 cm long and wide. The stigma lobes are very pale and the anthers are cream coloured. Spines: Rebutia fusca is one of the shortest spined species in the genus. 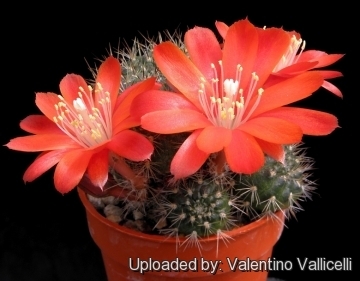 Note: It is sometimes seen misnamed Rebutia vulpina, an altogether more bristly and more globular species.